Fair breakfast prices. Good accessibility by car. Very quiet. Friendly service. 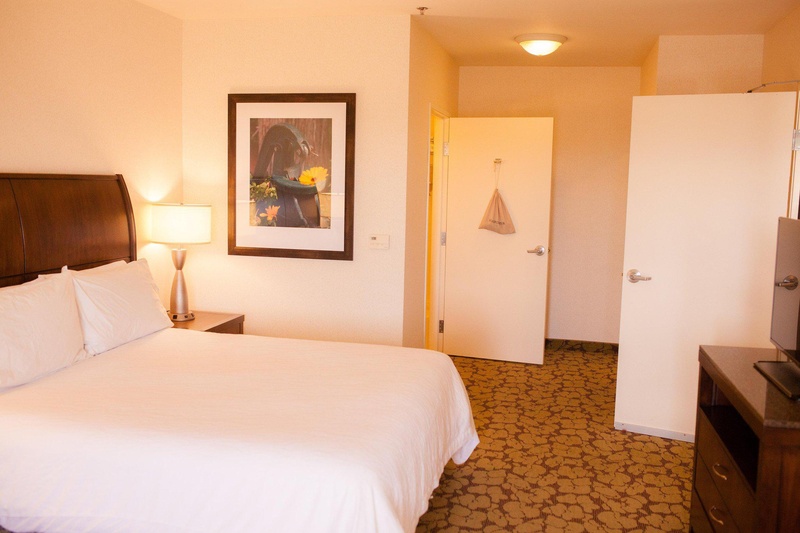 The Hilton Garden Inn Redding hotel in Redding, CA sits on a plateau overlooking the majestic Sacramento River. 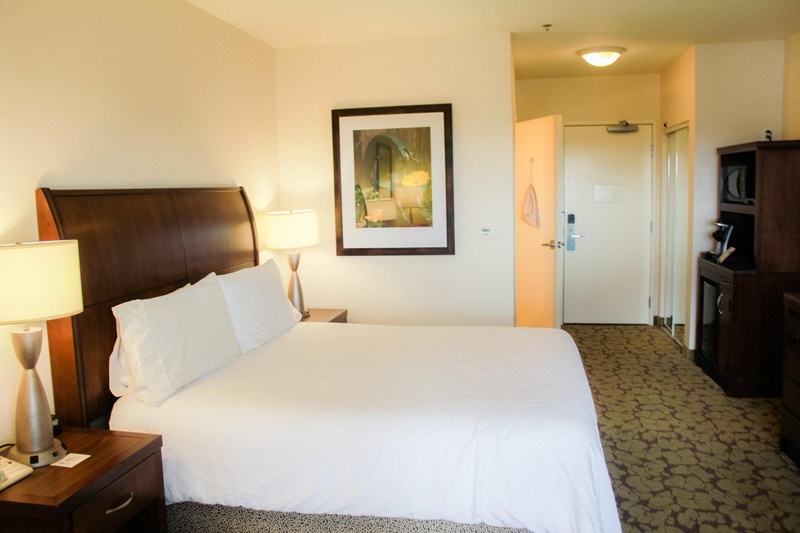 With convenient access right off the I-5 freeway, our Redding, California hotel is a great choice for easy travel around town and to the many Redding area attractions. 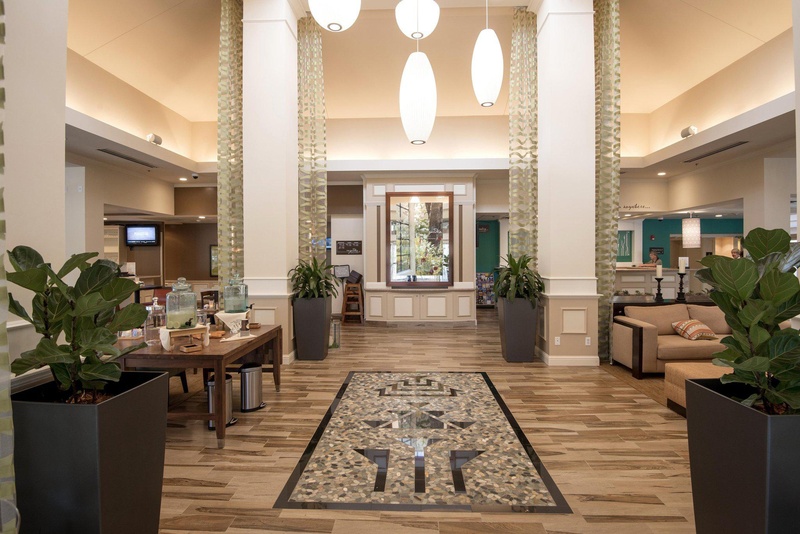 Features at the Hilton Garden Inn Redding, CA hotel include:Breakfast, Lunch and Dinner in our embedded link to dining page Great American Grill® Restaurant. Relax in your room and enjoy Room Service or grab a snack or cold beverage from our 24-hour Pavilion Pantry®. For that important meeting, our Boardroom accommodates 10 - 12 people and for larger groups Wintu A and Wintu B can accommodate groups from 20 to 140 people. 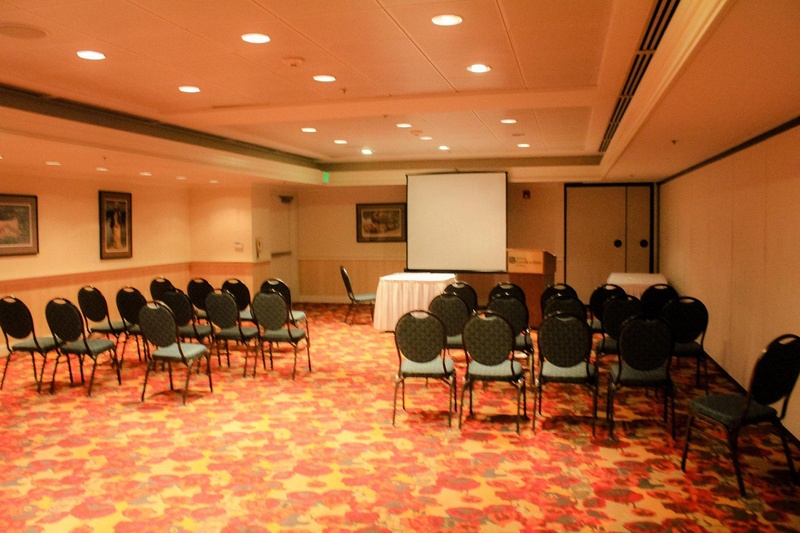 Making your event a success is our focus, tell us what you want and leave everything to us at the Hilton Garden Inn hotel in Redding, California. Our complimentary Business Center is available 24 hours and is equipped to meet your business needs while traveling. 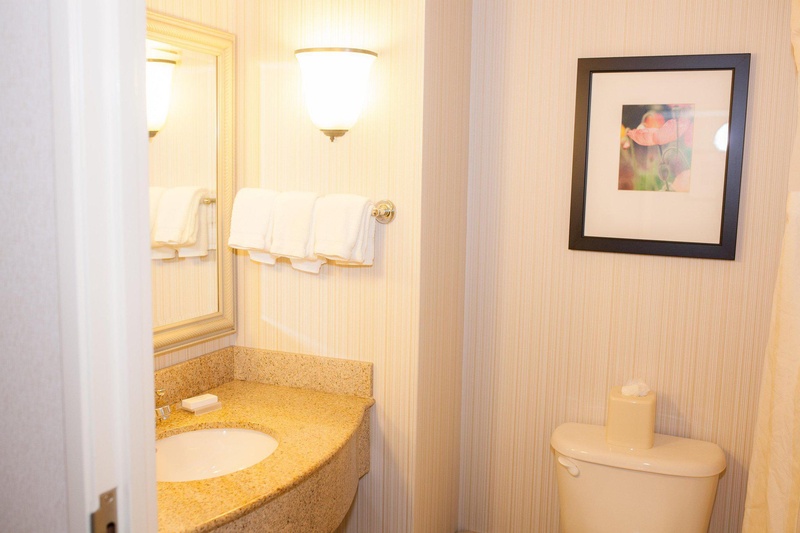 Complimentary high-speed wireless Internet is available throughout our entire Redding hotel. 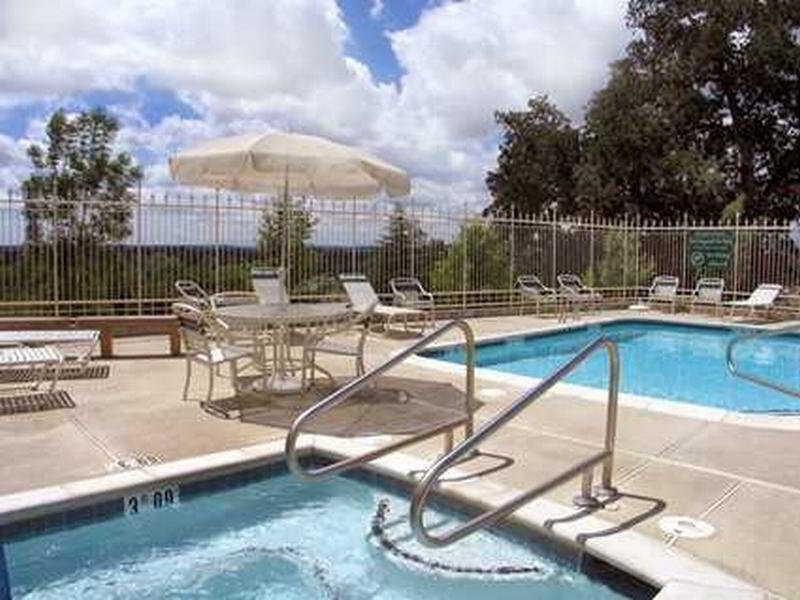 When it's time to relax enjoy our refreshing Pool and Whirlpool located on our outdoor patio overlooking the Sacramento River. Keep up with your exercise regime in our complimentary on-site Fitness Center at our Redding, CA hotel. Leave the driving to us with complimentary Shuttle Service to or from the Redding Airport and Win-River Casino. Close to town. Right next to freeway. Store next to. Cozy hot tub. Nice workout. Clean rooms. Clean hotel. Clean room. Lovely dinner. Good cookies. Terrific food. Terrific staff. Amazing server. Great shuttle service. Excellent amenities. Excellent beds. Beautiful view of the river. Great hot breakfast. Great breakfast buffet. Breakfast at a reasonable price. Great meeting rooms. Nice lobby. Nice property. Without freeway noise. Good A/C. Comfortable beds.